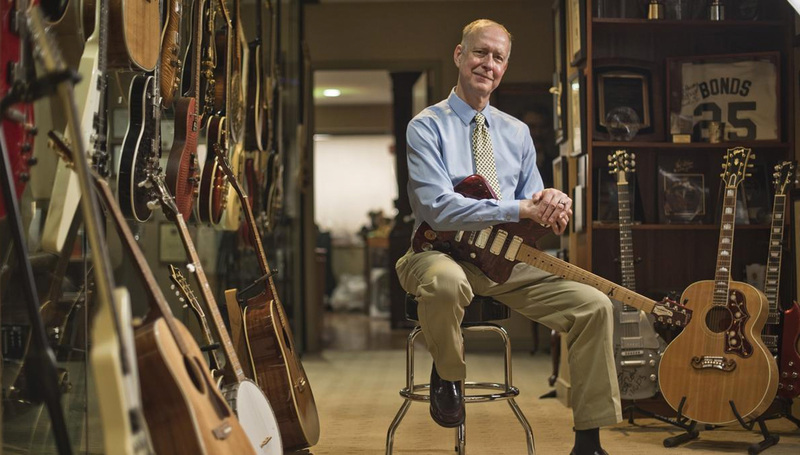 Earlier this week, in what amounts to arguably the biggest piece of news to hit the Musical Instrument industry in decades, Gibson filed for Chapter 11 Bankruptcy Protection. Lots of people saw this coming, and for many, the press release that hit Tuesday morning was more of a validation of long-standing predictions than it was shocking or alarming in any way. But like any industry-rocking headline, this rupture has spurred all sorts of reactions, discussions, and conjecture. Gear forums and Facebook groups are overflowing with both fearful and optimistic predictions on what's coming next for the historic brand. There was even a fake article circulating this week about how Joe Bonamassa plans to take control of operations. Many were taken in by the supposed news brief (despite the misspelling of both "bankruptcy" and "manufacturer"). Some commenters out there have rallied behind the notion that the bankruptcy filings are almost certainly a good thing for lovers of Gibson (and Epiphone) guitars. Every bit of information put forth by the company has centered on the idea that Gibson will refocus all of its energies on its ostensibly profitable core guitar business, and no matter how that takes shape, or what specific organizational changes that entails, Gibson is clearly going to continue to make guitars for the foreseeable future. As we've discussed before in the lead-up to Gibson's bankruptcy filing, the company sees annual revenues of $1 billion per year. And the terms of the reorganization deal include an additional $135 million in loans from its existing noteholders—this financing would not exist if the new ownership wasn't interested in keeping the factories humming. There's a lot to consider and debate for those of us who follow the guitar industry, but from my perspective here at Reverb, one of the more interesting discussion points I've seen is that of Gibson guitar prices—and specifically how used prices will fare amid all of this uncertainty. For those who don't mind a minor spoiler, I'll spare you the suspense and say that, in all likelihood, used Gibson prices will stay relatively steady in the near term. For those who are interested in all sides of the issue, keep reading as we dig deeper into Gibson's potential next moves and how they may or may not ripple out into the used market. The biggest high-level questions for the next phase of Gibson's story are in what ways production of new Gibson guitars will change or stay the same. Will quality go up or will it go down, and to what degree will that make used models more or less appealing to buyers? Should quality go up, that could make current used inventory less desirable. It's worth noting that Gibson's reputation for quality control (especially relative to its guitars' high price points) over the past decade has not been stellar, which leaves many potential new Gibson buyers feeling just as confident buying a used guitar as they would a new one. While difficult to quantify exactly, the forum chatter and industry talk leaves the impression that there have been lemons coming out of the Gibson plant, with endemic inconsistencies and issues with playability and setup. Whether return rates for new Gibsons are any higher or lower than other brands or if this is just a vocal minority is unclear, but the reputation among guitar nerds is certainly there. Additionally, there's a sense that Gibson's almost constant reworking of its product lineup—with the yearly introduction and discontinuation of various models—has distracted its workers and operational managers from keeping things simple, classic, and on time. When, for instance, a large-scale guitar factory needs to start adding newfangled robo-tuners to almost all of their guitars, as Gibson did in 2015, some things are bound to fall through the cracks. Now of course, for most observers, these patterns and shortcomings fall squarely at the feet of one Henry Juszkiewicz, CEO and, up until last week, 36% owner of Gibson Brands. Henry is seen as singularly responsible for the constant attempts at innovation and diversification, the catastrophic release of those categorically maligned "robo tuners," and that's to say nothing of his industry-wide reputation as being a difficult boss. But Henry is on the way out. 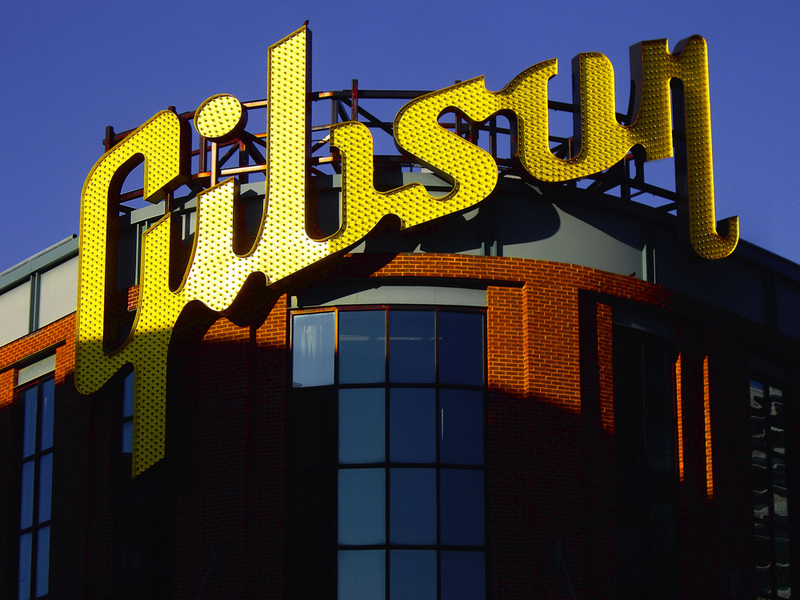 The terms of the agreement with Gibson's noteholders indicate a year-long consultancy agreement and multi-million dollar parachute for Mr. Juszkiewicz and Gibson President David Berryman, though the exact timing of their functional departure remains to be seen. Yet for all the hate this pair gets from trolls, I must also point out that these two took over the company at a time when it was facing similar financial straits in the mid-1980s. They rescued the brand from a low point from when the company was owned by the Norlin corporation—in a situation similar to the one they're now responsible for in the present. The king is dead. Long live the king. With all that said, the logic for why used prices might go down is as follows: Once Henry is gone, there will be fewer silly gimmicks and chicanery. The quality of Gibson guitars, under presumably superior management, goes up. Gibson buyers will want to get in on the good stuff, and decide to buy new instead of used. 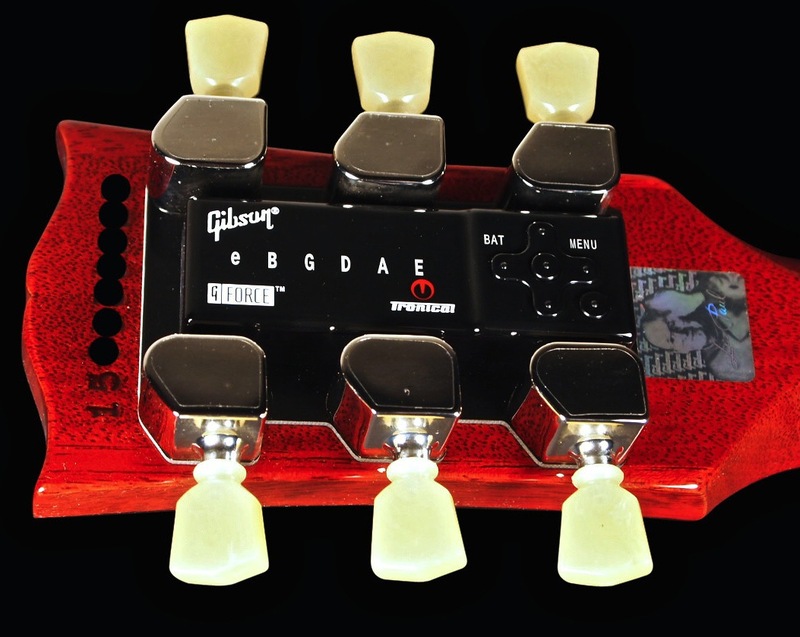 As a result of less demand and more fixed supply, used Gibson prices will start to go down. And this dynamic would only be intensified by current Gibson owners deciding to sell their old guitars on Reverb to finance a shiny new-era model, thus adding to the already established supply glut. Another hypothetical factor here has to do with existing Gibson dealers cutting prices on old inventory. If we start to see price drops on "new old stock" 2018 models, that would only lessen the motivation a buyer would have to buy a used guitar. The potential for these sorts of blowouts could be heightened by a loosening and liberalization of Gibson's historically tight restriction on online sales and MAP (minimum advertised price) for its dealer network. The converse of the above argument follows that if quality on new Gibsons goes down, potential buyers might flock to the used market, increasing demand and prices over what is now a fixed number of newly coveted used guitars. According to most sources, Gibson's instrument business remains profitable (showing around $11 million EBITDA in the fourth quarter of 2017 with sales up for January 2018 over figures from last year). This fact indicates that for all the quality control complaints and catalog criticisms, people are still buying new Gibson and Epiphone instruments. This continued popularity means that there is certainly room for quality and consistency to down from where it sits at present. "This fact indicates that for all the quality control complaints and catalog criticisms, people are still buying new Gibson and Epiphone instruments." Say, for instance, that the new management takes heed of the many Facebook comments calling for lower Gibson USA prices. If they agree that high prices and increased competition from high-end boutique builders is central to Gibson's woes, then perhaps they'll cut a few production corners, outsource a few more components, and cut costs in the traditional private equity way. I can already envision the forum dwellers reaction to this—the endless screeds on how far quality dropped after 2018, and how savvy buyers really have to go for a "pre-bankruptcy" model if you want that sweet, sweet creamy tone. It is, as many of you will have already noted, a similar hypothetical pattern to what happened to Fender guitars following the CBS takeover of the company in 1965. I, for one, do not think this scenario is especially likely. All intel I've seen from those closest to the situation seems to suggest that the noteholders set to take over the company are indeed committed to making things work and making them work well. While it's easy to imagine some heartless corporate entity churning out lower-end guitars with a slapped-on Gibson logo, the potential that move would have at diminishing the brand and alienating Gibson's core buying group hardly seems worth the risk. And while the famous Fender-CBS situation mentioned above did indeed bring lowered quality (as did the similar Norlin purchase of Gibson in the late 1960s), there have been plenty of situations throughout the history of gear where the renewal and rebirth of a brand saw quality increase. Gretsch wound down operations at the end of the 1970s, but the guitars built in Japan by the revitalized company a decade later are of a higher quality than any guitar built under that brand name previously. In the synth world, Moog and Dave Smith Instruments are both revived chapters of brands that went out of business in the 1980s—and both currently offer synths that are arguably more respected than anything either of their predecessor brands produced at the time of their closures. While the exact directions that quality and pricing on new Gibson guitars go as management of the company changes may have some impact on the used market, the most likely scenario is that prices will remain relatively flat. The key indication of this is that used prices for Gibson guitars have remained remarkably steady in recent years, with the agreed upon going-rate for most core models staying within a noticeably tight price close range. In the five years that Reverb has existed (meaning in the five years where we have any sort of sales data to look at), used Gibson prices have remained, on average, within about a $100 price span across most major models, apart from a slight lift in Les Paul Standard prices around 2016. The average price of a used Gibson guitar made after 1980 in 2014 was $1439.57 USD, while its been $1492.35 thus far in 2018. And this span includes such earlier notable Gibson scandals as Robo-Tuner-Gate-2015, when the appeal of new product coming out of Nashville was supposedly at an all-time low, though this may account for the Les Paul bump seen in the graph below. Includes sales for guitars made after 1980 to separate "used" and "vintage." Another vital component to this debate is that, generally speaking, the buying pools for new and used are relatively delineated. There's a large group of obsessed gearheads who buy and sell used guitars constantly, and then there's John Q. Bluesrock who can't wait to buy that shiny new Les Paul this Christmas. There are, to be sure, plenty of guitar buyers who swim in both waters, and the Reverb data shows this. But it's not the used guitar flipper that Gibson cares about or markets toward—it's the casual player or maybe Custom Shop collector that wants that pristine specimen with the crisp certificate of authenticity and new guitar case smell. Even if quality goes one way or another, we can consider the buying pools separate and markets relatively isolated. To that end, for all the above explanation of supply and demand and volume of used Gibson inventory, it's not like the marketplace is lacking available used guitars for people to buy. A quick search of used Les Pauls on Reverb yields 4,831 results. On average, a used Gibson that gets listed on Reverb stays on the site for about 36 days until it gets sold, which demonstrates quite clearly that there is more than enough supply to go around. For all the guesswork and prognosticating we all like to do about the used gear market, and what trends are going to do what and when, it's ultimately larger economic and social trends that dictate pricing on any luxury good or within any collector market. "The biggest shifts in vintage guitar prices came from the 2008 recession, not from Gibson or Fender or whoever else deciding one thing or another with their product lineups or building techniques." The biggest shifts in vintage guitar prices came from the 2008 recession, not from Gibson or Fender or whoever else deciding one thing or another with their product lineups or building techniques. Similarly, the key buying pool for these instruments is aging and likely not being replaced, so the longer-term veracity of the guitar market is subject to a much broader discussion than just one brand (which we'll save for another time). Personally, I hope to see the new Gibson management simplify its operations and offerings and stick to the basics, like a respected sushi chef that rejects the bright orange sauces and fusion-y trends and simply cuts quality fish as it was meant to be cut. If they do this, I see Gibson's place as a major brand in the guitar industry sustaining as long as a massive strum on a '59 Les Paul. I see new buyers adding to their collections at a steady clip, and used buyers continuing to buy and sell in the unending carousel of online commerce. And through it all, I see used prices staying more or less where they are. Have opinions? Let us know in the comments.